The Board will review applications on a rolling basis. Self-nominations and third-party nominations will be accepted for both officers and board members, including low-income representatives. Cabrillo requests a three-year commitment of service from successful board candidates. Applications are available online at cabrilloedc.org/board-directors/. For additional information or to submit an application, call Cabrillo at 805-659-3791 or email [email protected]. Margarita H. de Escontrias, CEO: As I reflect on this message, the future of our Etting Road Project is fresh on my mind. After two recent public hearings, I want to express my gratitude to those involved for working together to advance our project that will provide 42 critically needed homes for farmworkers and their families. 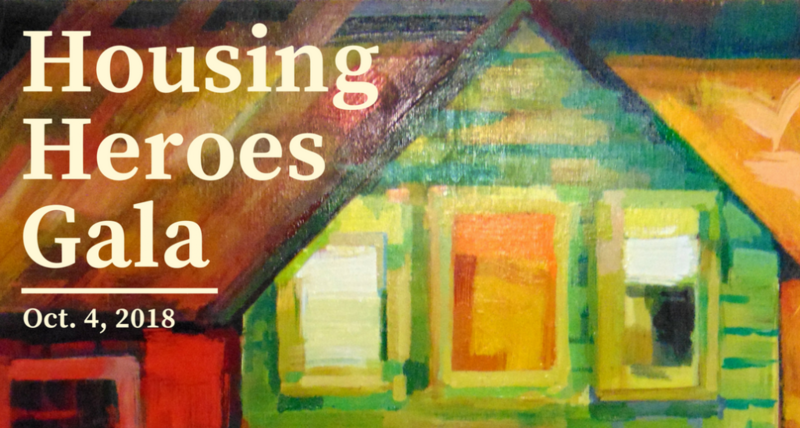 Why do affordable homes matter? Investments in affordable housing have widespread and significant benefits to our local communities. From employment to health and education, all areas of life improve when individuals and families have access to a decent and stable home. As a result, there is reduced homelessness for people with low incomes, and families have more money for necessities like medicine and food. Research indicates that a child’s neighborhood and home life have significant Influence on their performance in school. For every additional year a child spends in a better neighborhood environment, their economic outcome as an adult improves as measured by income and the likelihood of college attendance. Ultimately, affordable housing is one of the most effective ways to help low-income families escape poverty and ensure children have the opportunity to reach their full potential. 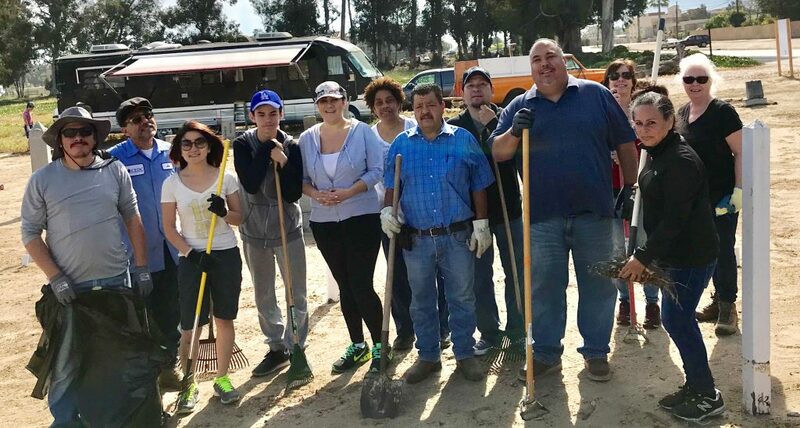 Photo Caption: Cabrillo employees, board members, and friends volunteered May 5 at the historic Japanese cemetery in Oxnard cleaning up the site, which is adjacent to Cabrillo’s Etting Road property, which is in the pre-development stage for a 42-unit affordable housing complex. 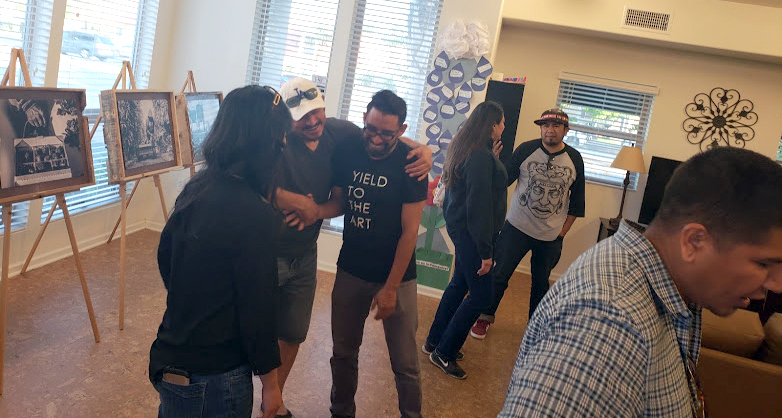 Camino Gonzalez and Paseo de Luz Apartment residents gathered Friday, June 8, in Oxnard for a community event to raise funds to create a community mural for the properties to share. Artist Gabriel Cardenas will design and lead the installation of the mural at the adjacent properties. The event featured an art exhibit by Photographer Antonio Juarez and Cardenas the artists donated works for an auction along with Martin Alberto Gonzalez, author of “21 Miles of Scenic Beauty … and then Oxnard: Counterstories and Testimonies,” who read excerpts to the crowd and donated a book for the auction. “It was great to see the facial expressions of the excited youths who met Martin Alberto Gonzalez,” said Jessica Rios, Resident Services Coordinator and AmeriCorps VIP Volunteer, explaining many previously had read his book in school. “Overall, we had a great turnout from residents who enjoyed a nice Friday evening with each other. It was great to see both communities come together and work toward a common goal,” she said. There were tacos for sale, drawings for baskets created by property manager Dolores Rodiles and items donated by local businesses. Documentarian Julio Alcala presented his fieldworker documentary, “The Fieldworkers Journal,” and United Farm Workers provided information on free citizenship sessions during the event. 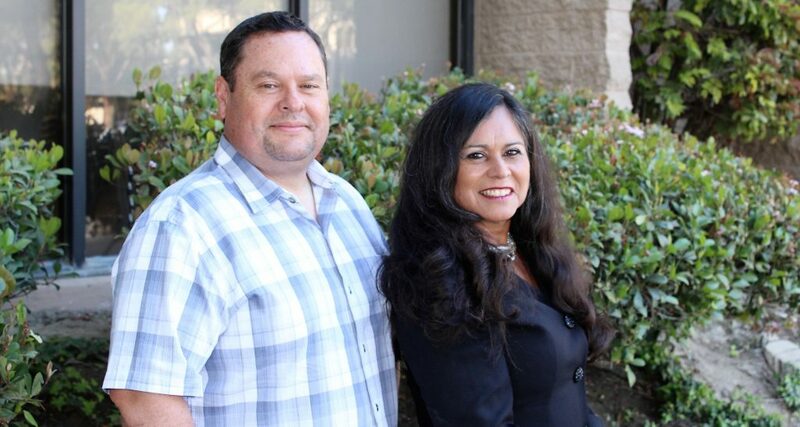 The Cabrillo Economic Development Corporation (CEDC) is pleased to welcome the addition of Naomi Ontiveros and Victor Rodriguez to its Board of Directors. Ontiveros, an Oxnard resident, is a consultant for the Department of Rehabilitation. She previously served on the Cabrillo board for five years, ending in 2006. She also served as the President of the Board for the El Paseo Homeowners Association, where she currently owns a home after being homeless. “Returning to Cabrillo as a board member is an honor, volunteering my time and expertise to an organization that cares for senior citizens, persons with disabilities, farmworkers and low-income families in need of safe and affordable housing. I have a passion and drive to make a difference in people’s lives since I personally know what it is like to be homeless and living in a shelter with five children and one being a newborn,” Ontiveros said. Rodriguez has been a human resources professional for nearly 20 years. He is currently the Director of Human Resources at 4over LLC in Glendale. His professional background includes similar positions at Reiter Affiliated Companies, Monsanto Company (Seminis), and Your People Professionals. He holds a bachelor’s degree in Organizational Management from the University of La Verne. Rodriguez lives in Camarillo with his wife and two children. 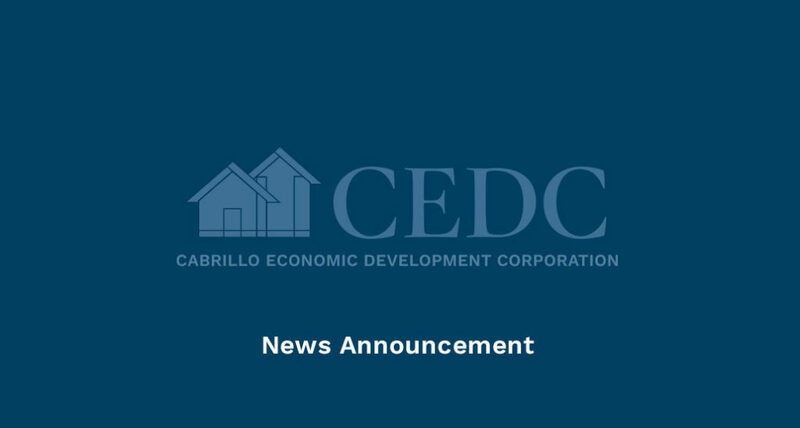 Rodriguez grew up in Cabrillo Village farmworker community from which CEDC originated. He said growing up in Cabrillo Village had a positive impact on his life, creating opportunities for his family they otherwise would not have had. “Our similar backgrounds and economic status also created strong friendships, and we didn’t have to worry about judgment from each other. I think this also contributed to our humility, appreciation and a sense of pride for the hard work our parents experienced in the surrounding fields,” he said. Rodriguez also has served as a previous board member for Habitat for Humanity and the Workforce Investment Board of Ventura County. “Cabrillo has a wonderful mission and a great brand. 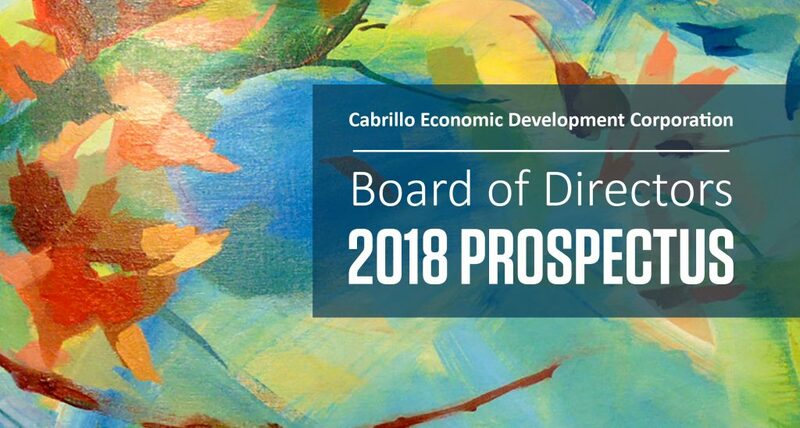 I am hoping my personal experience with affordable housing, my previous board experience with organizations in Ventura County, and my professional background leading Human Resources teams will help Cabrillo accomplish their goals and continue to create housing opportunities for low-income families,” he said. Cabrillo is seeking nominations for the inaugural Housing Heroes Awards. To submit a nomination, please send a brief explanation of what makes the nominee is deserving of this recognition. Please include your name and address and, if possible, the names and addresses of persons who can provide further information on the nominee. A single nomination will place the individual or company in consideration for the respective award. Award nominations will be accepted through April 30, 2018. 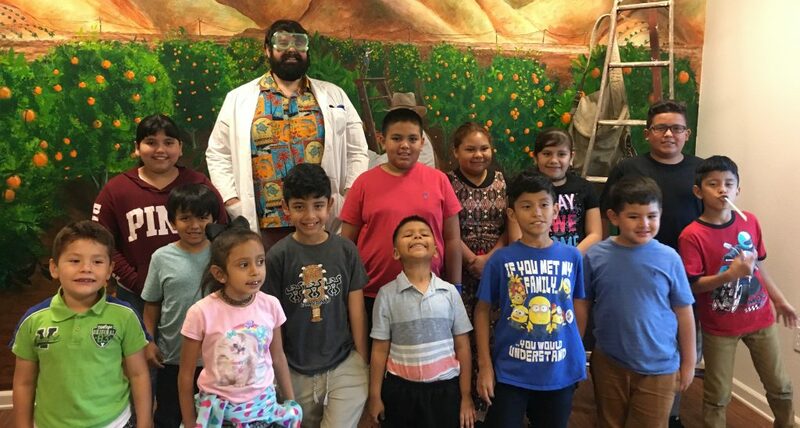 Mad Science is sweeping through Cabrillo properties as CSU Channel Islands, graduate Christopher Botch contributes his expertise by hosting Mad Science events. The first event took place on Feb. 8 at Valle Naranjal Apartments in Piru. About 15 resident children were able to enjoy learning about rockets and density with experiments on dry ice comets and levitating bubbles. Additional events are planned at Valle Naranjal and Meta Street apartments. For more science fun, look for our six-week Summer Mad Science Camp, which will be coming soon to nine Cabrillo properties. The program is open to all K-12 students. Register before April 18. 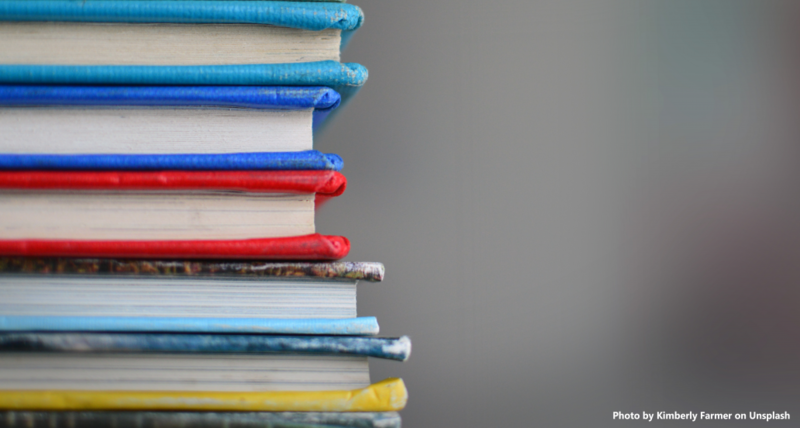 You must answer the enrollment referral questions with “A Tree of Knowledge,” and you will need to provide proof of age and residency to be enrolled. Students cannot be enrolled in summer school during this program. For more information, contact Cabrillo Resident & Community Services at 805-672-2588. 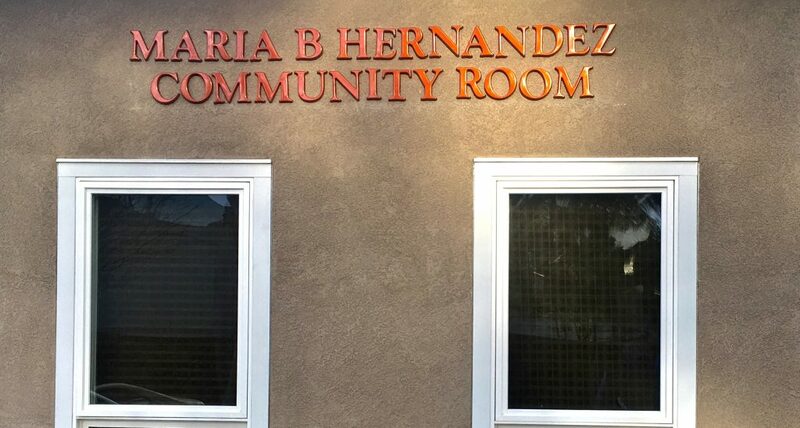 On Feb. 10, Cabrillo honored the hard work and compassion of Community Building Manager Maria B. Hernandez during the Dia De Amor Y Amistad event to dedicate the Community Room at the Paseo Santa Clara/Pase del Rio apartments in her name. CEO Margarita H. de Escontrias kicked off the ceremony by honoring Maria’s family. Maintenance supervisor Victor Alcantar and Maintenance Technicians Jesus Guzman and Fidencio Aguilar planted a tree in Hernandez’s honor, and teen residents Amanda Cervantes, Daphne DeLaTorre, Briana Rodriguez, and Sophia Godina helped renovate the community room. “Thanks to everyone who came out that day to celebrate and honor Maria’s legacy with Maria’s family, said de Escontrias. “It was a perfect opportunity for us to live our values and celebrate together. 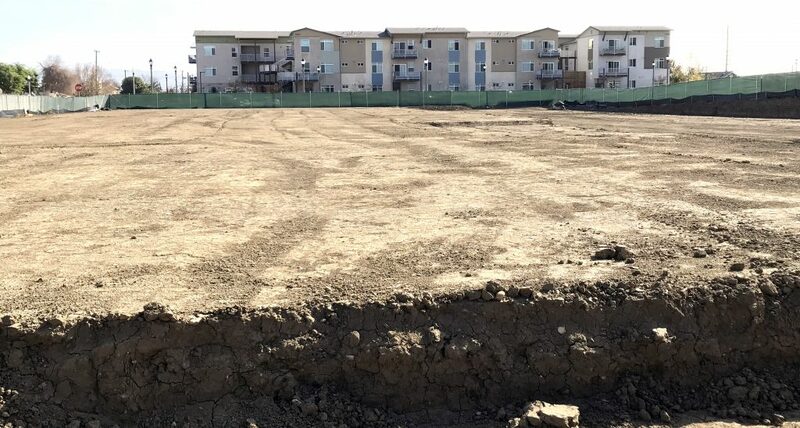 Cabrillo Economic Development Corporation will conduct a groundbreaking ceremony for its newest affordable housing development, Phase II of Snapdragon Place Apartments, at 10 a.m., Thursday, April 5, at Snapdragon Place Apartments, 11094 Snapdragon Street, Ventura. The event will begin at 10 a.m. with a reception in the Community Room at Snapdragon Place Apartments. The program will include a welcome address from Cabrillo and its project partners. Following the program, attendees will walk to the building site for the groundbreaking ceremony and photos. Cabrillo is developing the project in partnership with the Housing Authority of San Buenaventura, which will serve as the property management company. Snapdragon Place Apartments is a new construction development located at Snapdragon Street and Los Angeles Avenue in East Ventura. Cabrillo completed Phase I of the project, which included 28 units, in 2015. Phase II will provide another 22 homes. The project will include 11 special needs units, of which, four one-bedroom units are designated for homeless veterans through the Veterans Affairs Supportive Housing program and seven non-VASH units. All units, except for the manager’s unit will have Section 8 vouchers for families and individuals with incomes between 30 to 60 percent of the area median income. Applications are now available for the 2018 Rodney Fernandez Leadership Scholarship. The Rodney Fernandez Leadership Scholarship Program, created in 2011, honors the legacy of Rodney Fernandez, Cabrillo’s founder and Executive Director for 30 years (1981–2011). The Scholarship continues Fernandez’s legacy of community building by cultivating the leadership of residents to attain their goals, empower themselves and to take action and improve the quality of life in their communities. The Scholarship will award a total of $12,500 to its recipients with $10,000, provided by an Edison International grant to be divided among STEM recipients and $2,500 among recipients of all majors. The amount of each scholarship will be determined based on participation and qualifications. Currently a senior in high school with a minimum 3.0 GPA or currently in the process of applying, enrolled in and/or continuing education in an accredited institution in an undergraduate or graduate program. Applications must be completed, signed, and submitted with all the required attachments to be considered on or before 5 p.m. on FRIDAY, JUNE 1, 2018. (805) 672-2588 Or (805) 659-3791 Ext. 141 or [email protected]. Cabrillo has completed grading on Phase II of Snapdragon Place Apartments, and construction is set to commence in March 2018. Snapdragon Place Apartments is a proposed new construction development located at Snapdragon Street and Lost Angeles Avenue in East Ventura. Cabrillo completed Phase I of the project, which included 28 units, in 2015. Phase II will provide another 22 homes. The project will include 11 special needs units, of which, four one-bedroom units are All units, except for the manager’s unit will have Section 8 vouchers targeting families and individuals with incomes between 30 to 60 percent of the area median income. The development will share access to the 2,000-square-foot community center completed during Phase I of the project. That space includes open space with a barbecue and play areas.